I was worried that since we were planning to sheet only the outside with vertical boards, that the walls would have no sheer strength and would be subject to deformation by lateral forces such as wind, waves, and hitting an iceberg. Here is a suggestion from Aralia to give the walls sheer strength. We are planning to keep the inside studs open. This will save the weight of the extra (inside) sheeting and will give us lots of lovely places between the studs to install shelves, cabinetry, etc. A few plans have called for 2×2 framing for the cabin to reduce weight in the topside. This is impressively spindly. 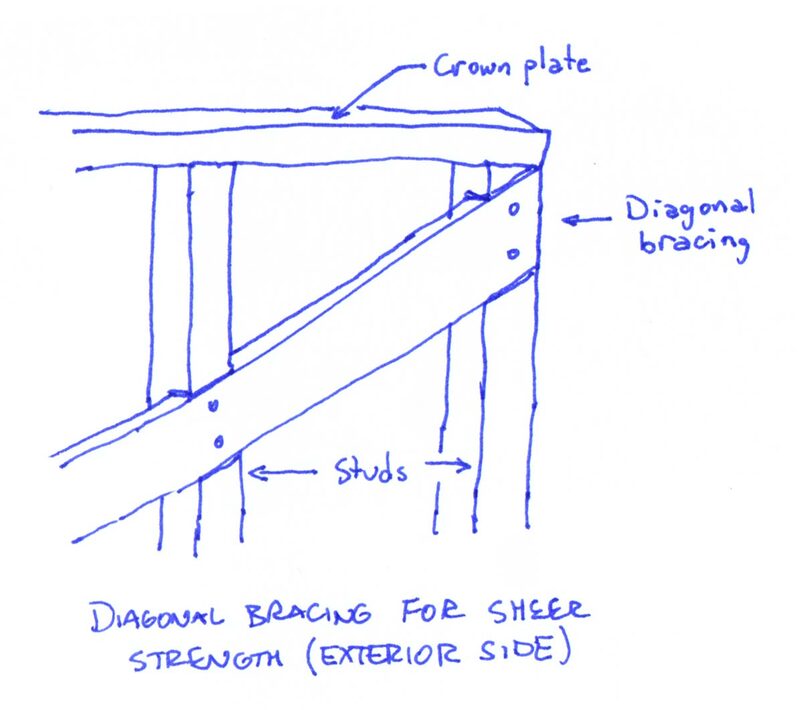 In that case, I’d definitely want 1×4 diagonal bracing so the first heavy overhanging branch didn’t clear the decks. I still like the idea of 2×4 studs simply because it would give us great storage/shelf opportunities on the inside. Is that dumb? Maybe. 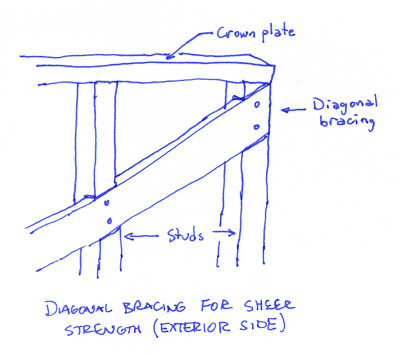 FYI, let in bracing was the standard in frame building constuction until plywood came into widespread use following WWII.